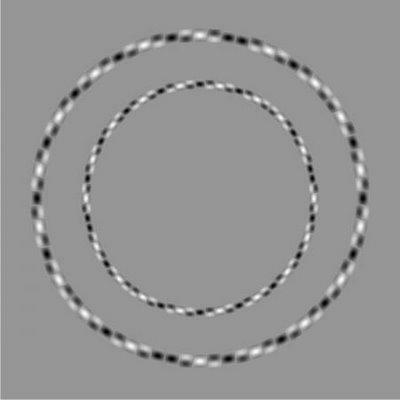 These two shapes made up of striped lines look wavey and disorganised, however on closer inspection they actually make up two perfect circles, one inside the other. When i look at the whole picture it appears moving and wiggling. Great work of art! amazing!